The poor Toyota Starlet had a bad start at the recently held drag race at Pan American Nationals. When we say bad start, it’s not an engine failure or delayed run but it’s an embarrassing mistake. One of the wheels of this red Toyota Starlet comes off! What do you think went wrong? Others are saying that it’s probably due to the stock studs used. If this car got its wheel secured, I wonder how fast will it run. Will it be fast enough to beat the record done by his opponent who pulls off 10.59s @ 137.95mph? 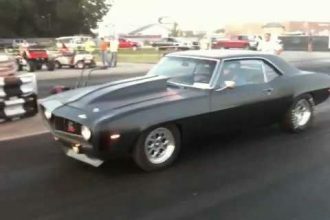 69 Camaro Cummins Drag Car!! 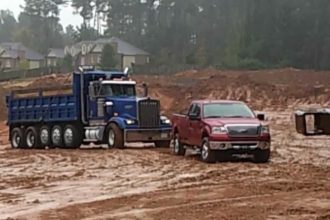 Ford Trucks Are All-Weather Miracles!